A pretty village set on the coast of the Costa Brava in Spain. 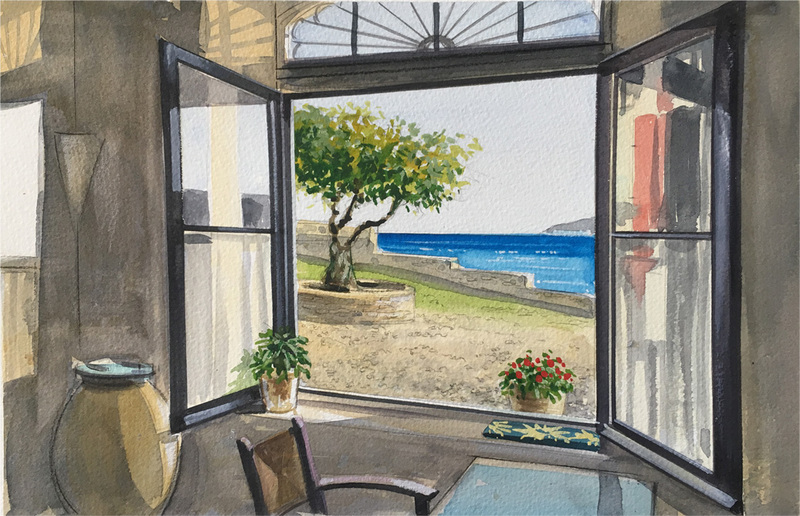 Salvador Dali often visited Cadaqués as a young man and later set up a home in Port Lligat, a small village in the next bay. Cadaqués is beautiful place to visit and explore with fascinating back streets and a sweeping promenade where you can sit and enjoy a Café con leche while you ‘people watch’. 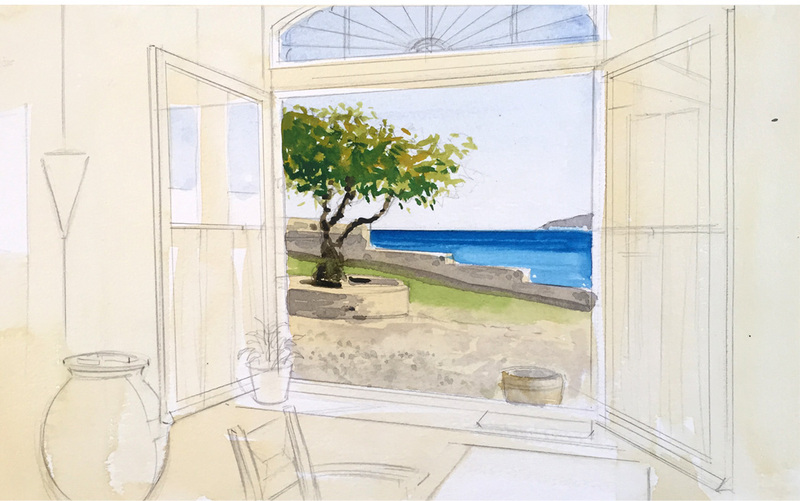 I really liked this scene as soon as I saw it as it offers quite a challenge for a watercolour study as we have both exterior and interior views to take into account. ‘Perspective? !’ I hear you cry.. Fear not, in the tutorial below I’ve done my best to simplify the step by step approach. Here’s the reference photograph. 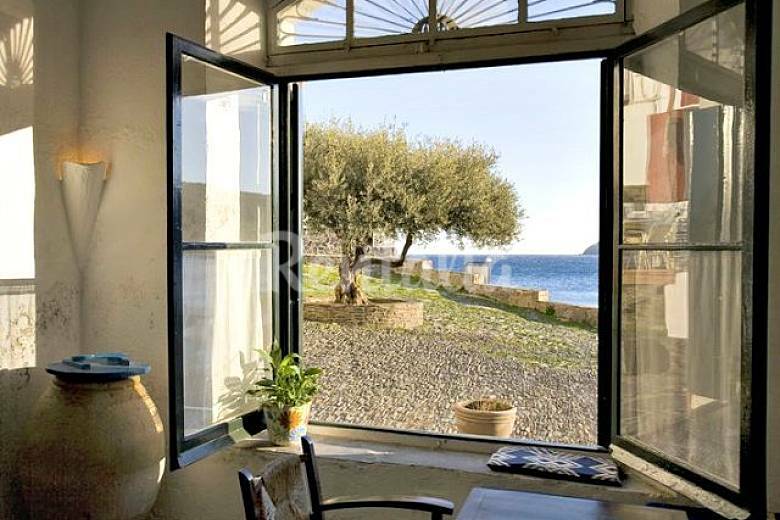 It’s actually a view from a 6 bedroom house in Cadaques which you can stay in. Hands up anyone who would like to join me next summer at this venue for a one week painting holiday.. Drop me a line and I’ll take care of the arrangements! Back to the tutorial. I recommend starting with a simple Horizon line/ Eye level – the sea in this case (Blue line). 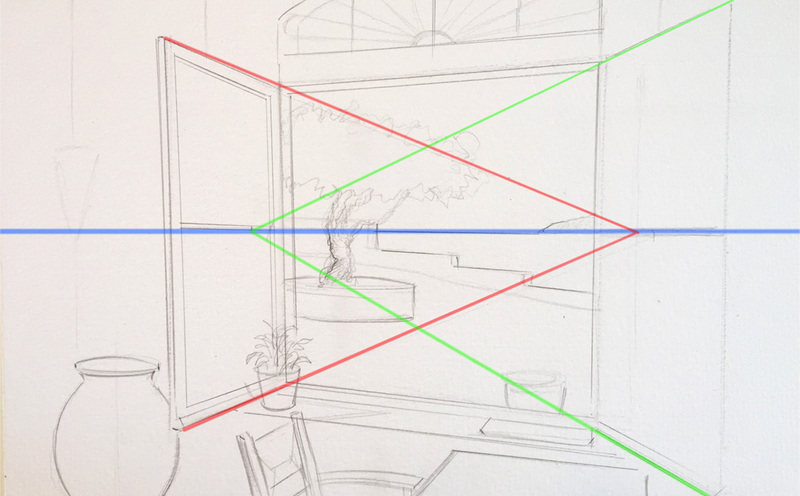 Then lightly pencil in the window frame and windows using the horizon line to set them up. (Red and Green lines ). 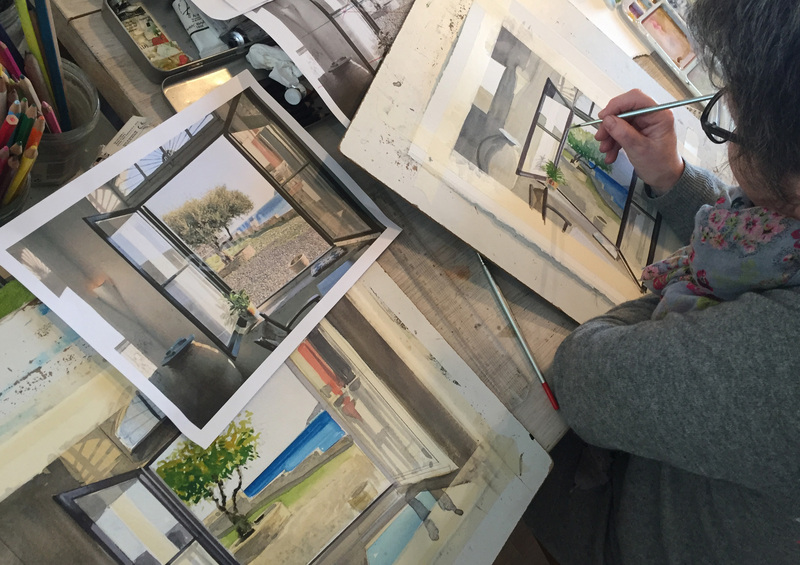 When you’re happy with the rough layout – take your time – the rest of the objects will slot into place. 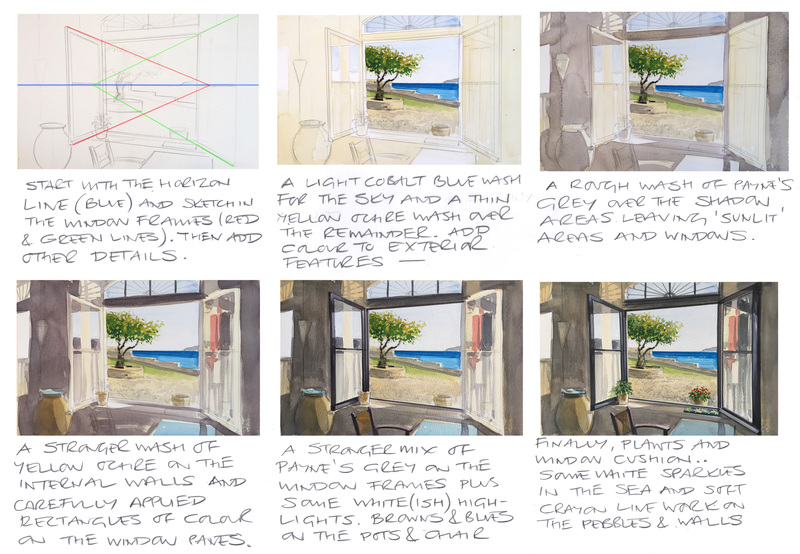 From this point you can slowly add light washes of blues and yellow ochres to set the tone then increase the strength of colours working on the view first before moving into the interior. The main thing, as per usual, is to really look at the shadows and contrast..where the sunlight catches the window sill… the shape of those reflections on the window panes themselves. Here’s the 6 stage step by step tutorial..
And finally, here’s a larger version of the final painting. A good point to pour yourself a glass of rosé and enjoy the setting sun…Cheers.